This 4 Week Online Course is a unique signature course created by Mada Eliza Dalian especially designed for young adults between the ages of 21 and 25 (some exceptions apply) to support their transition into independent living. The course is designed to assist young adults to find their true calling and focus their energy in that direction. During the course we will explore the challenges and the opportunities that lay ahead. We will transform fears, insecurities, self-doubt, and anxiety into self-confidence and self-trust so you can take the needed risks to manifest your dreams into reality. After years of being taken care of by your parents and being shielded from the difficulties of the world, you are finally ready to venture into it on your own. This may be both exciting and scary. It is exciting because you are feeling a sense of unlimited freedom and hope. And it is scary at the same time because there are no guarantees, and you don’t really know if the direction you are taking is the right one for you. This course will help to give you clarity and create a solid foundation for you in this important transition in your life. It will help you find a clear direction, learn how to venture into the world with more awareness and confidence, and make right decisions. Each week Mada will look into your body’s main energy centres and guide you on how you can utilize your body’s wisdom to chart the path for your future. 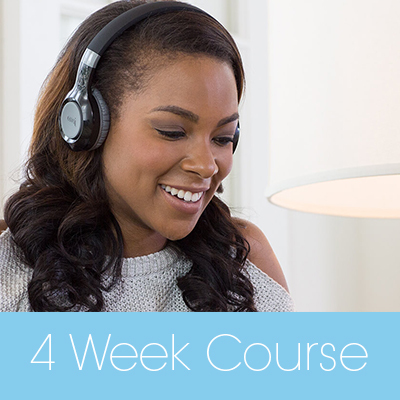 This course will take you into places inside yourself that is impossible to access with the mind alone. Manifest your new clarity and understanding in your daily life. The focus of this week will be to take inventory of all your concerns and aspirations. Then Mada will look at what is happening in the first 3 energy centres, also known as chakras in your body (see what each chakra represents below). She will identify the exact thoughts and emotions that are trapped in these centres such as fear, anxiety, anger, insecurity, depression, worry, procrastination, competitiveness, jealousy, or not feeling good enough, and are blocking your inner clarity and strength. 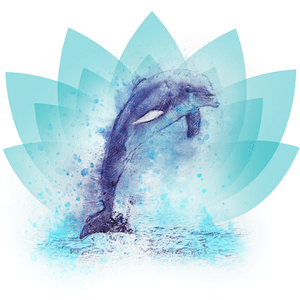 Mada will then guide you on how you can dissolve and permanently transform the self-sabotaging thoughts and negative emotions repressed in your body using the self-help Dalian Method for Young Adults in the comfort of your own space. The first or root chakra, is situated at the base of the spine and is associated with the colour red. Our life force, also known as kundalini energy, coils up in the first chakra, from where it moves up and down through the body. The root chakra is the meeting place of our yin and yang (female/male) energy polarities. This chakra governs the reproductive organs, feet, legs, bones, and large intestine. It houses the seed of our creative potential. The second chakra is located about two inches below your navel and extends into the lower back. It is associated with the colour orange and governs the liver. The second chakra houses our body’s survival instinct. It is the centre where we experience inner peace, and where our spirit connects with our body and helps us bring our awareness into the present. The third chakra, also known as the solar plexus, is located just below the ribcage, and extends into the mid back. This chakra is associated with the colour yellow and governs the stomach, spleen, and digestive system. It houses our ability to establish healthy boundaries and stand up for ourselves. The third chakra also gives us the needed strength to manifest our vision and creativity into reality. The second week we will focus on the heart chakra. Mada will look at what your body needs to communicate in the heart area and what thoughts and emotions might be repressed there that may be causing you to feel sad, depressed or alone. She will then give guidance to how you can quickly clear and transform the emotions that keep you stuck and unhappy using the Dalian Method for Young Adults. Working with it in your own personal space at home will help you let go of the hurtful feelings and feel more love and compassion for yourself and others. The fourth chakra is located behind the sternum in the chest and extends into the upper back. 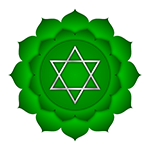 This centre is associated with the colour green and bridges the three lower and the three upper chakras. Emotions of sadness, grief, and thinking that nobody understands or cares about us repressed in the fourth chakra often cause heart problems, shortness of breath, asthma, breast cancer, and depression. Governed by the heart, this centre transforms our insecurity, anger, selfishness, greed, manipulative behaviour, and lust for power into trust, kindness, love, and compassion for ourselves and others. During the third week we will focus on the three upper chakras. Mada will look at what your body is saying in the fifth, sixths, and seventh chakras and what thoughts and emotions might be blocking your inner wisdom and greatness. You will work with the self-help Dalian Method for Young Adults in your own private space during the week to clear what is sabotaging your clarity in your body’s upper centres. You will also learn how to utilize the natural qualities of these energy centres to connect to your intuition and gain more clarity and strength in any situation. Working with the upper chakras will also help to improve your communication skills and your relationships. 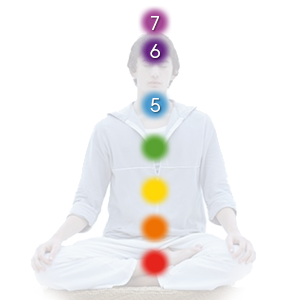 The fifth chakra is located between the base of the throat and back of the neck. This center is associated with the color blue and governs the thyroid and parathyroid glands, communication, and expression. The throat chakra helps us express our unique voice and creativity, and allows us to take responsibility for what we think and feel. The sixth chakra, commonly known as the third eye, is located in the forehead in the area between the eyebrows. It is linked to the pineal gland, also known as the “mystery” gland. Associated with the colour indigo, this centre houses our inner wisdom and spiritual intelligence. The third eye helps us see things clearly and objectively and find answers within ourselves. It also helps us take risks and be excited about trying new things. The seventh chakra, also known as the crown chakra, is located at the top of the head. It is associated with the colour violet or white and acts as a transition point between the limited physical reality and boundless cosmic reality. It helps us let go of our insecurity, attachments, and fear of death and the unknown. This centre symbolizes the flowering of human consciousness and its reunification with the Source. During this week’s call you will receive specific guidance from Mada on what you can do to continue integrating and grounding your new awareness in your daily life as you move through your journey of charting your path with more consciousness and freedom. The length of the class will depend on the number of participants and the amount of time that Mada takes to address each person. You will be calling a US-based conference number. You can call from your phone or Skype. If you do not have a long distance plan on your phone we recommend getting a Skype long distance plan, which you can use from anywhere in the world via your internet. How much time should I dedicate to the Course each week to get the most out of it? Naturally, the more time you are able to put into the course the more you can gain from it. It is advisable to set time aside after the call each Sunday to practice with the self-healing Dalian Method for Teens based on Mada’s individual guidance. Can I ask Mada questions every week? Due to the individualized nature of the course the maximum number of participants per class is limited (between 20 to 25 participants). Absolutely! As a matter of fact, you will be encouraged to do so. We will be setting up a private group blog for the duration of the course. You can connect with others, share your experiences, and be encouraged by seeing the similarities that you and others are working through.